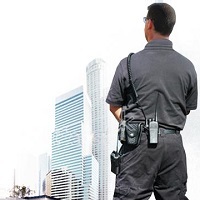 Excellent Placement Services is the name that can be trusted for ensuring the security of your surroundings. Based in Gurugram (Haryana, India), we are backed by a team of adroit security personnel. Our team comprises bodyguard/ bouncers, gunman, etc. All these professionals are expert in providing the superb security in any live event, concert, public gathering, etc. Moreover, we have recruited these security professionals after judging them on their physical fitness and mental alertness. Many VIP’s, ministers and sports personalities in Gurugram often take advantage of our security services.